Vikings and ancient Scandinavian culture and lore have attracted increased interest in recent years, largely in part to film and television programming Have you heard of Game of Thrones?). This awareness has led to a fascination with the skillful metalwork of Vikings, including their weaponry and jewelry. 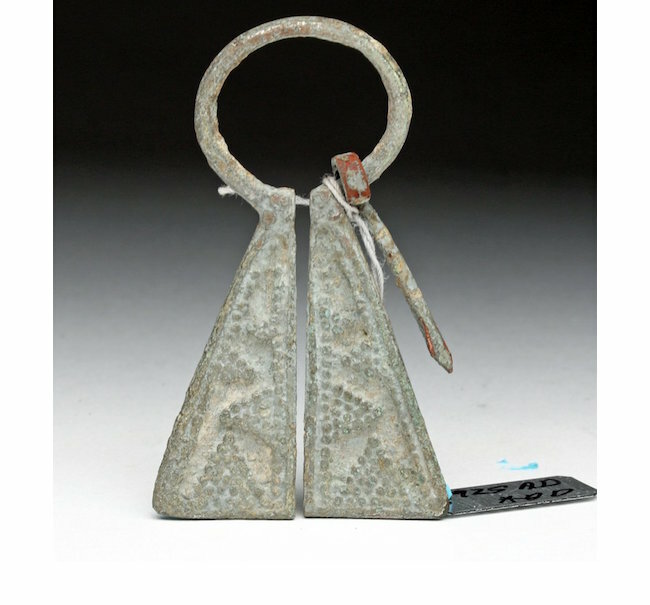 Discoveries of the divergent representation of masterful Viking metalwork continue to occur in the UK and other western European countries, according to Bob Dodge, owner/director/founder, Artemis Gallery Ancient Art, which specializes in antiquities and ancient art. While silver appears to have been the metal of choice, a small number of Viking gold pieces and bronze objects have come to auction, Dodge said. This gold Viking ring from the ninth to the 12th century was found in Britain. While we may not know the exact meaning behind the designs, we do find indicators or origins. Shield forms probably paid homage to the importance of this item of warfare to the expansionist dreams of the Vikings, said Dodge. 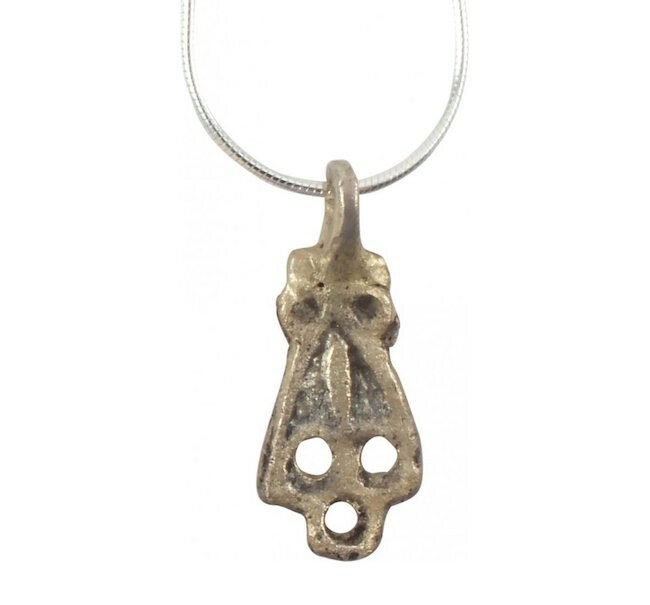 Examples of Viking mythology and their religion can also be seen in ancient jewelry. For example, this pierced amulet, shaped as a duck’s foot is similar to a necklace found at the grave of a woman of wealth and societal status, along with a wand and other items. It was believed, based on the discovery of the items in the grave, that the woman was a sorcerer or seer. Efficient design and ease of use are at the core of ancient Viking jewelry. 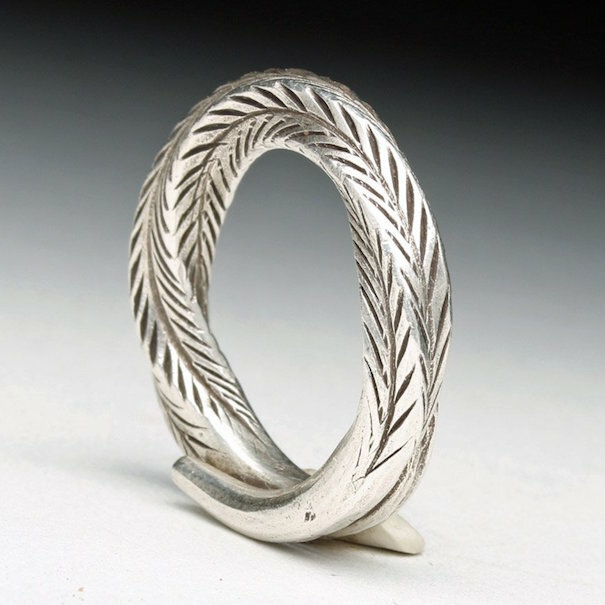 This heavy overlapping coil of silver band has been twisted and incised with “feather” pattern along most of its length. 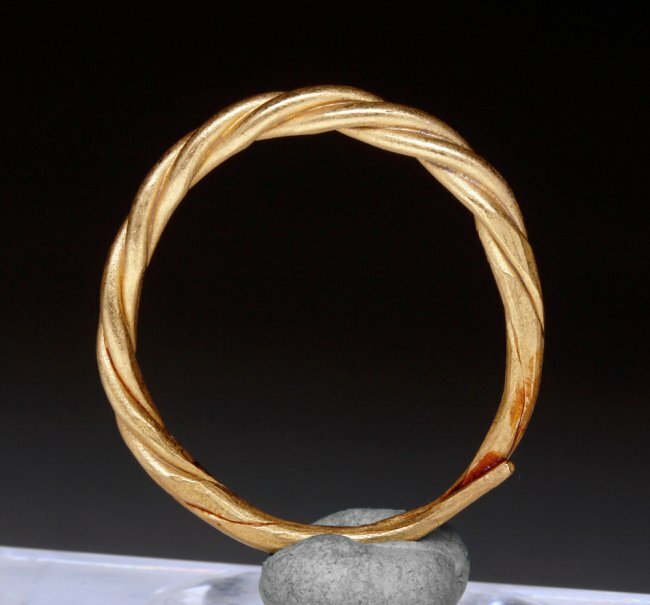 Rings are a common type of Viking jewelry discovered today, second only to bracelets, Dodge explained. Vikings used brooches to hold clothing in place and guard against the impact of swords during battle. Long before advancements in fabrication, Vikings created weapons, armor and tools that stood the test of time and completed the tasks at hand. 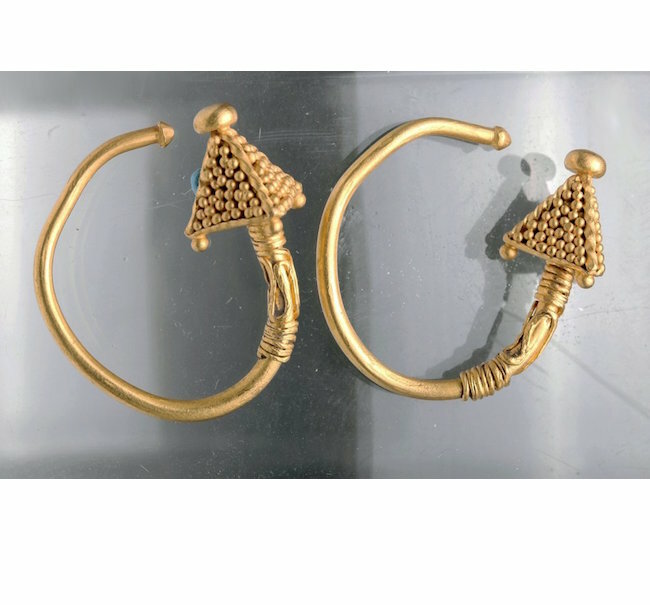 Those skills are also evident in more elaborate jewelry designs like that of these gold hoop earrings. Other shapes seen in Viking jewelry include hearts, crescents and axes. Interested in starting your own Viking jewelry collection? Discover Viking Jewelry on Jasper52.